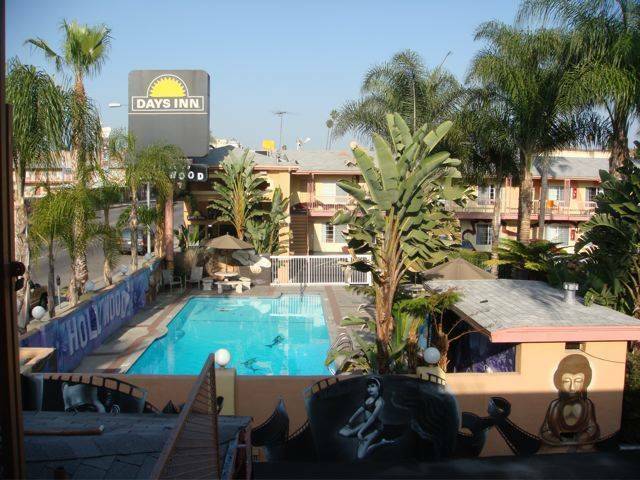 Days Inn Hollywood is centrally located in the heart of Hollywood just minutes away from all the famous attractions of LA which include Universal Studios, Walk of Fame, Chinese Theater, Downtown LA, and many other attractions. We are located right next door to the train station which can take you to all the major attractions without having to rent a car while you are visiting. Our rooms are very spacious and renovated. You will feel at home when you are visiting our property. 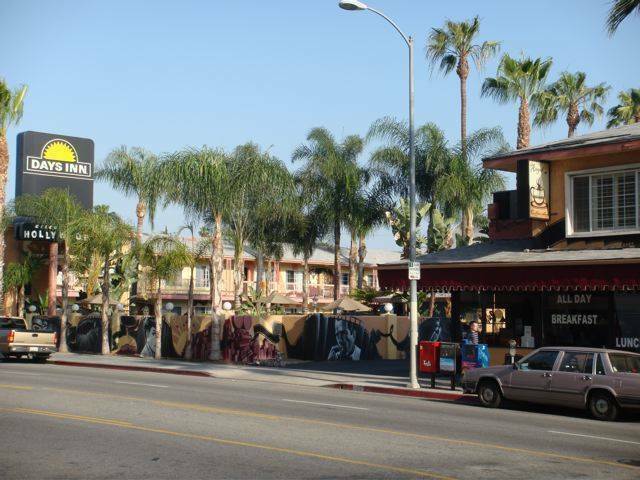 Along with the beautiful rooms we have famous murals of Hollywood celebrities and movies scenes wrapping around the whole property... Hollywood Mural Museum. Our friendly staff will be more than happy to assist you in anything you need while you are staying with us. We look forward to your arrival and welcome you to contact us if you have any questions to make your travel plans much easier. Free breakfast, Free wireless internet access, Free In Room Microwave and Fridge, Swimming Pool open year round, Guest Laundry, and a very friendly staff. 24 hour before arrival date cancellation policy. On the corner of Hollywood Blvd and Western Ave. 1 miles east of the Hollywood Blvd exit off the 101 Freeway. East of the Western Ave train station stop. Subway Metro stop: Western Ave. Bus stops on Western Ave.